Watch Sylvia discuss her brand new book, Psychic Healing! 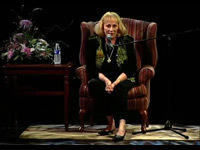 Watch Sylvia Browne answer more of your your questions following her April 2009 web class. 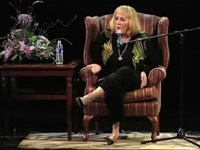 Join Sylvia Browne to celebrate the arrival of spring on her Thursday, March 26, 2009 Web Class on SpiritNow.com. 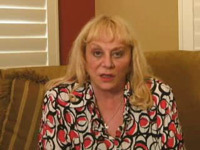 Watch Sylvia Browne answer more of your your questions following her February 2009 web class. Sylvia will discuss many spiritual topics in February, including more on her best-selling new book, All Pets Go To Heaven. Pets are so important to us and losing a cherished pet can be as painful as losing a family member. 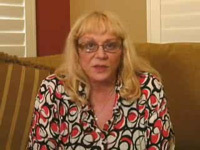 Watch Sylvia Browne answer more of your your questions following her November 2008 web class. 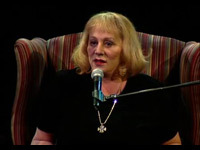 Sylvia Browne discusses angels, guides and ghosts from the other side in our November 2008 web class. Watch Sylvia Browne answer more of your your questions following her October 16, 2008 web class. 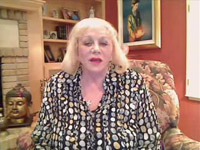 Sylvia Browne discusses Angels and Spirit Guides and answers your questions on her September 18, 2008 webcast. Watch Sylvia Browne's bonus footage answering more of your questions following her August 18, 2008 webcast. 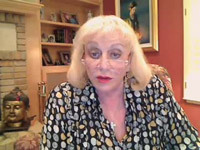 Sylvia Browne discusses more on The End Days and answers your questions on her August 18, 2008 webcast. Sylvia Browne answers more of your questions in exclusive bonus footage following her June 15, 2008 webcast. Watch Sylvia Browne's Father's Day webcast from June 15, 2008. Watch Sylvia Browne's Mother's Day webcast from May 10, 2008. 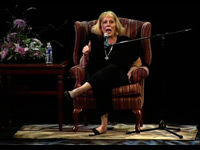 Sylvia Browne recounts her encounter with an angel.